In March 2015, Vusumzi Primary School's dream of having a computer laboratory was realized when 30 HP Touchscreen laptops arrived in the newly refurbished technology center. - but let’s go back in time. None of this could have happened without the generosity of American donors. Early contributions led to the transformation of the technology center's infrastructure: security, paint, floor tiles, electricity, and a network. We needed only the computers, and at our annual fundraiser at Thames Street Kitchen, donors purchased all of them in a span of two minutes. It was the most amazing, rapid-fire outpouring of philanthropy we had ever witnessed. As one attendee noted, “This is the best Christmas present I have ever bought." The unequivocal highlight of the bidding battle was when Drs. Bob and Kathy Leonard raised both hands in the air, all 10 digits lifted upward, to stake their claim on 10 new laptops. The whole venue went wild! In recognition of the Leonards' ongoing, loyal support of Universal Promise, our mission, and the understanding that education is the key to it all, in October 2017, Universal Promise renamed the computer lab in their honor. Along with the installation of this groundbreaking lab -- the first of its kind in the Sundays River Valley -- came the provision of CAMI software, an academic program that has markedly accelerated learners’ reading and math skills. The lab offers students and the wider community the opportunity to research, learn from, and connect with the world beyond Addo. 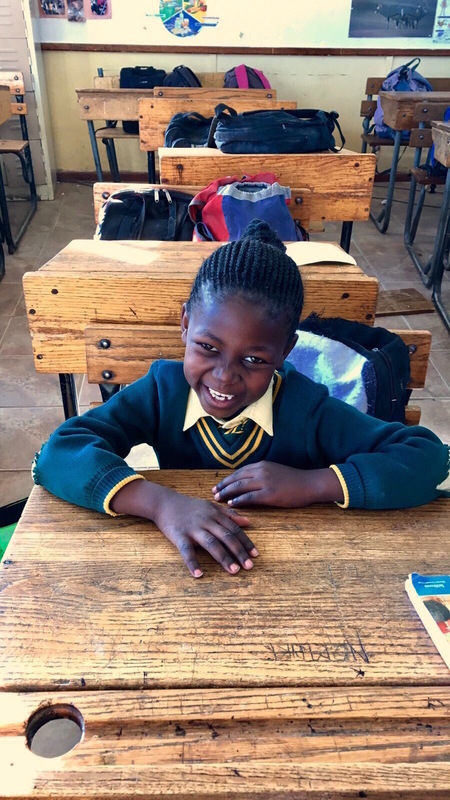 We are grateful for the Vusumzi Primary School educators' willingness and ability to take on this new challenge and to embrace it for the benefit of their remarkable learners.